When you are a suspect in a criminal investigation or charged with committing a crime, you have important protections under the United States Constitution. Violations of these rights, as well as other defenses, can be used to build a strong defense to the charges that you face. One important right you have is the right against unlawful searches and seizures. If this right was violated, this may be grounds to obtain a dismissal of the charges against you. What Is the Right Against Unlawful Search and Seizure? The Fourth Amendment to the Constitution protects against unreasonable search and seizures. This makes a search and seizure unlawful if the police did not have a valid search or arrest warrant or probable cause to suspect that a crime was being committed. In order to be given the protections against search and seizure, an individual must have a reasonable expectation of privacy in the place or thing being searched. The key question will be whether or not the expectation is reasonable. What is reasonable will be determined based on the facts of the person’s situation. However, in general, people have a greater expectation of a right to privacy while in their home than in their vehicle. A search warrant may be required for a search of a home when one would not be required to search a vehicle. Lawful arrest. If you are being arrested for a crime, the police do not need a search warrant to search you since it is part of the arrest process. Plain view. You are not considered to have a reasonable privacy interest in property left out in plain view. This means, for example, that if you leave a gun or bag of marijuana out on the seat of the vehicle and you are stopped, the police may be able to seize it without a search warrant if it is in plain view. Consent. If you consent to a search, which a surprising number of people do, you will lose your protection against unreasonable searches and seizures. Legitimate traffic stop. 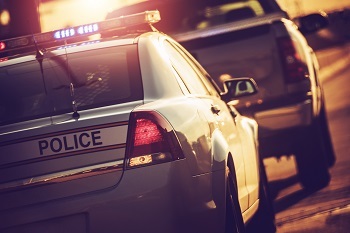 If the police make a legitimate traffic stop and have probable cause to believe that the vehicle contains contraband or other property obtained in a crime, a search warrant is not required. What Happens If Your Rights Against Unreasonable Search and Seizure Are Violated? Exclusionary rule. Any evidence that was seized from an illegal search may be inadmissible in the criminal case against you under the exclusionary rule. If the item seized was a vital piece of evidence necessary to prove your guilt, this may result in the criminal charges being dismissed. Fruit of the poisonous tree. Under the fruit of the poisonous tree doctrine, any other evidence obtained as a result of an unlawful search and seizure—even if it was obtained at a later date—cannot be used against you in court. Again, this can be a powerful weapon to deprive the prosecutor of evidence necessary to prove your guilt beyond a reasonable doubt even if you know that you are guilty. Your right against unreasonable search and seizures, as well as your other important constitutional rights, in a criminal case are complicated and subject to many interpretations by the U.S. Supreme Court. You need the assistance of an experienced Fairfax criminal defense attorney to determine whether your rights have been violated and to utilize this defense successfully. To learn about our extensive experience defending our clients in criminal matters and how we can assist you, start an online chat to schedule a free consultation.